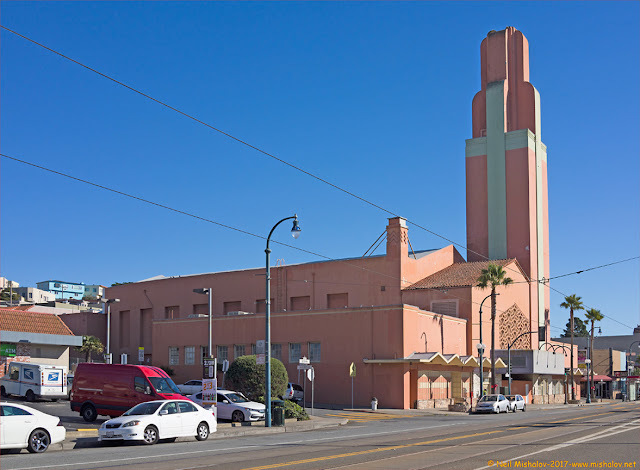 THEN: The Alhambra Theatre is located at 2330 Polk Street. 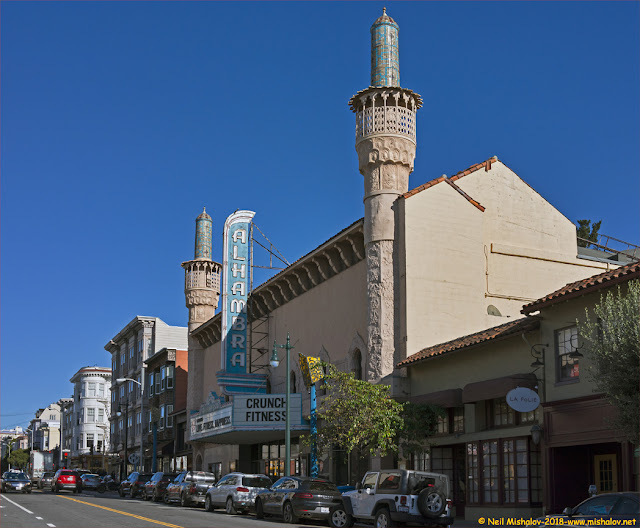 The theatre opened on 5 November 1926; it has two distinctive Moorish minarets which make it a landmark in the Polk Gulch neighborhood of San Francisco. This picture was taken in 1926. NOW: The Alhambra Theatre closed in 1998, and a workout gymnasium now occupies the building. The theatre is San Francisco Landmark #217. Click Here to see the location of the Alhambra Theatre on a map. THEN: In 1848, Orson Squire Fowler claimed that an octagon house was the most efficient shape for a home since it enclosed more space with less material, it provided more light, and was more efficient to heat in the winter and cool in the summer. 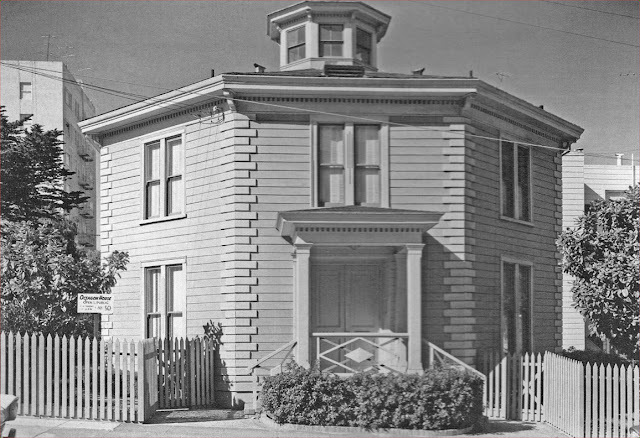 Several thousand octagon houses were built in the United States and Canada; two survive in San Francisco. This house was constructed by William C. McElroy in 1861 and is now located at 2645 Gough Street. The house was initially built across the street from its present location. 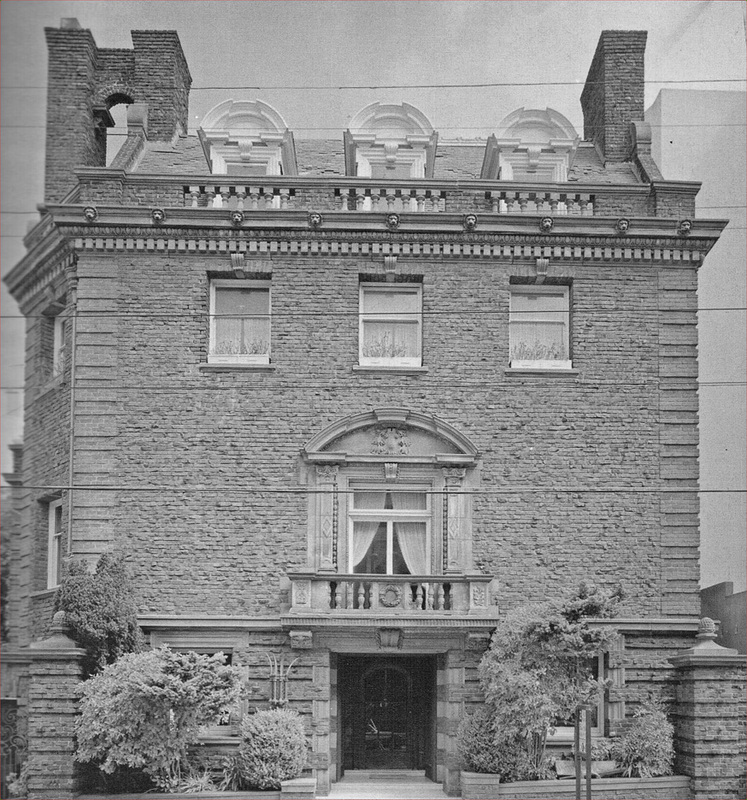 It was a private residence until the 1920s. By 1951 the house was abandoned and in terrible condition. The National Society of the Colonial Dames of America purchased the building for one dollar and moved it across the street onto donated land. An apartment building now occupies the original building site. This picture was taken in 1952. THEN: The octagon house was restored after it was moved across the street, and it opened as a museum in 1953. This picture is circa 1953-54. NOW: The house is San Francisco Landmark #17 and National Register No. 72000250. Click Here to see the location of the octagon house on a map. THEN: The Baldwin Hotel and Theatre formerly occupied the site of the Flood Building. 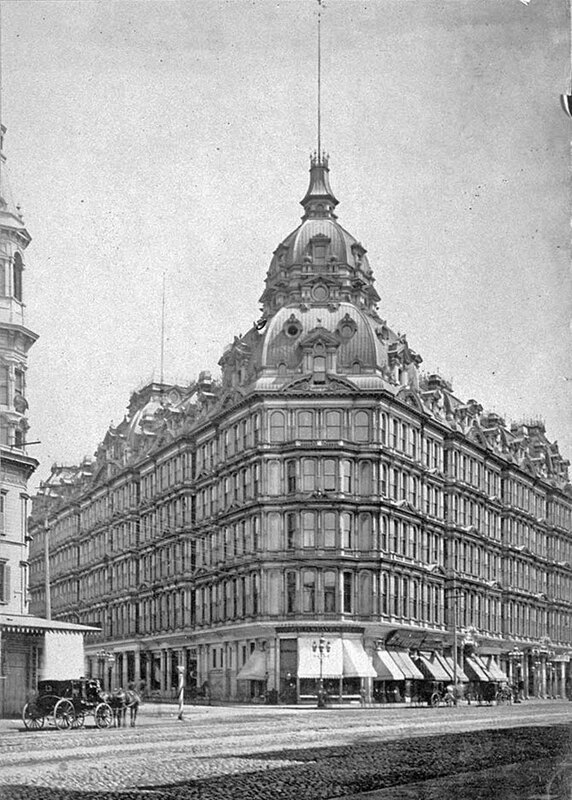 The Baldwin Hotel and Theatre was destroyed by fire in 1898. In 1902, James L. Flood purchased the empty parcel of land and had a building constructed on the site in honor of his father James Clair Flood, who died in 1889. This is a picture of the Flood Building under construction. This image is circa 1903. 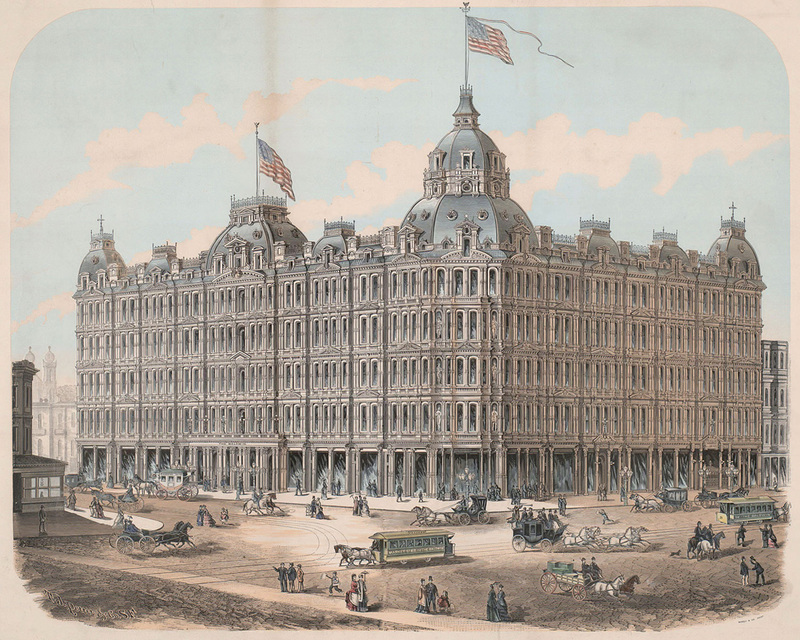 THEN: This is an engraving of the Baldwin Hotel and Theater. The print was produced by the T. J. Pettit Company between circa 1878 and circa 1890. THEN: This is a photograph of the Baldwin Hotel and Theatre. The photo was taken in 1879. 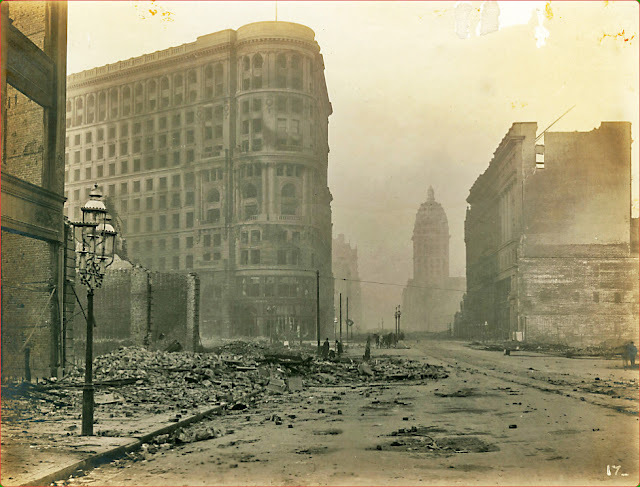 THEN: The Baldwin Hotel and Theatre after a fire destroyed the wooden structure on 23 November 1898. The building was beyond repair, and the structure was demolished, leaving an empty parcel of land. 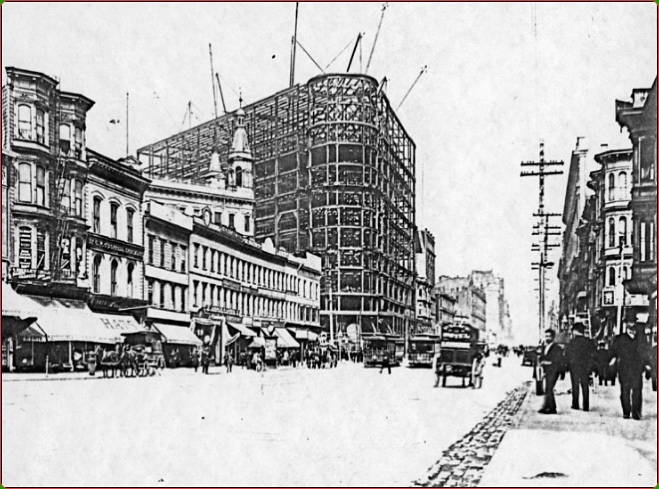 THEN: This is a picture of the completed twelve-story Flood Building. It is located at 870 Market Street. The building cost $1.5 million to build and construction was completed in 1904. The photo is circa 1905. 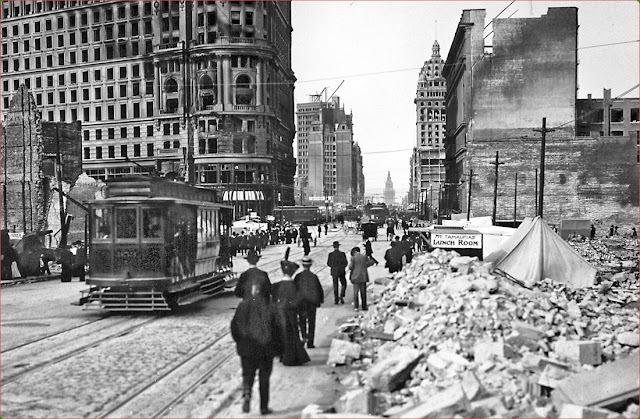 THEN: The San Francisco Great Earthquake and Fire occurred on 18 April 1906. 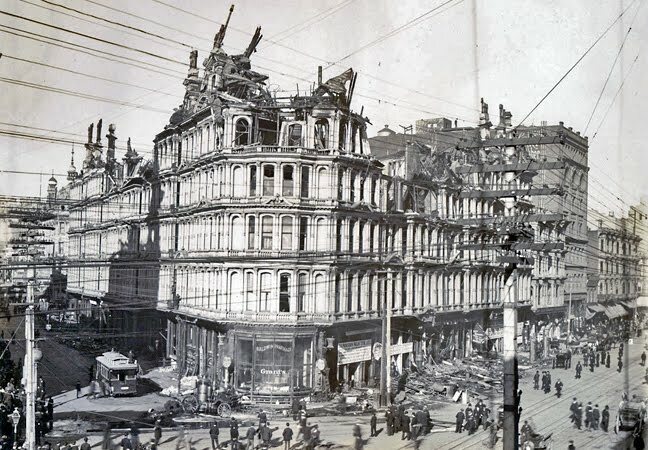 The Flood Building was damaged by the earthquake and fire but survived the calamity due to its steel frame construction and brick exterior walls covered in sandstone. THEN: This photo of the Flood Building was taken approximately two to three months after the earthquake and fire. A Market Street Cable Railway cable car is traveling outbound on Market Street. The Ferry Building can be seen in the distance. NOW: The Flood Building is located at the intersection of Powell Street and Market Street. 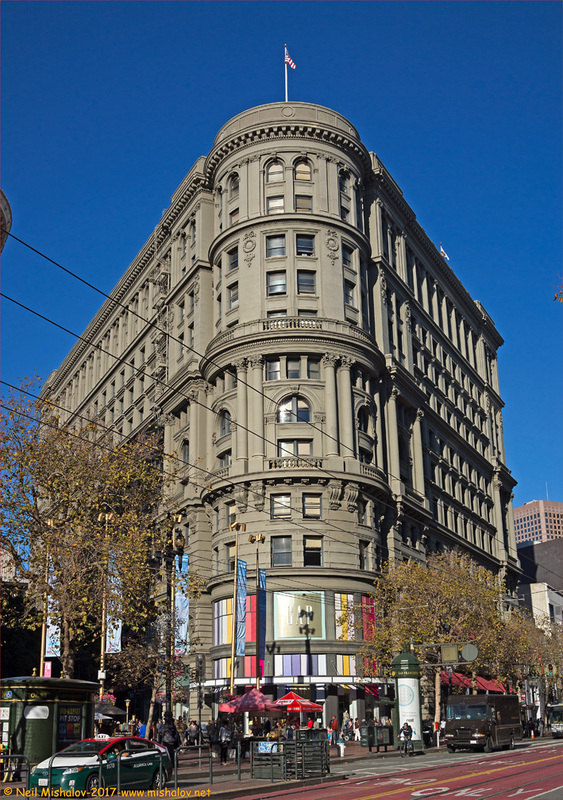 The building is adjacent to the Powell Street cable car turnaround. During the early Twentieth-Century, the Pinkerton Detective Agency has an office on the third floor of the building, and employed Dashiell Hammett, a well-regarded author of detective novels such as The Maltese Falcon, as an operative. San Francisco Landmark #154. Click Here to see the location of the Flood Building on a map. THEN: William Bowers Bourn II was born in San Francisco in 1857. He became a very successful and extremely wealthy entrepreneur. 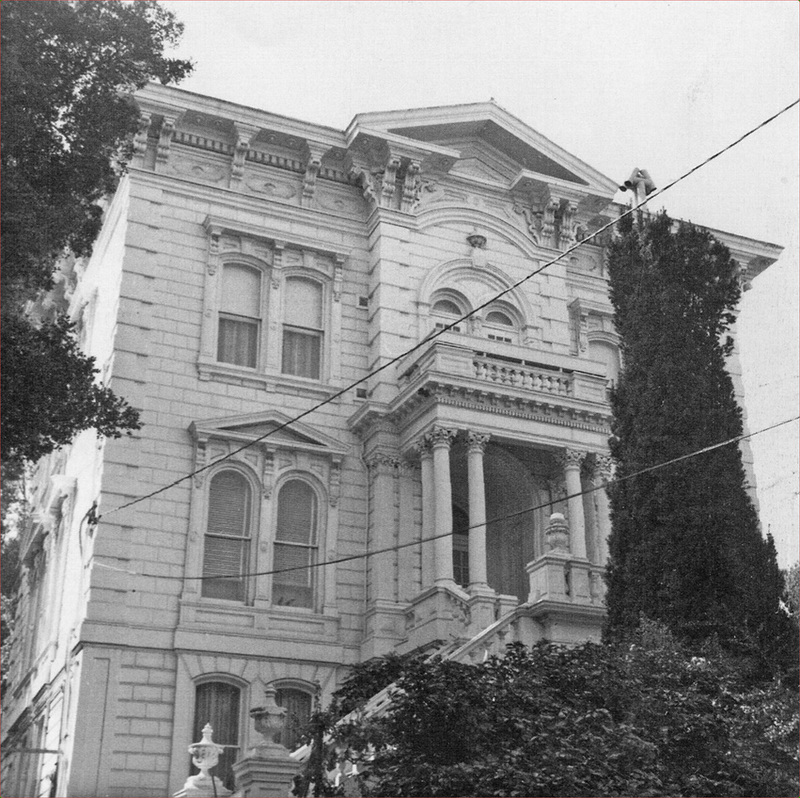 In 1896, he commissioned Willis Polk to design this 27-room mansion at 2550 Webster Street. Polk also designed Filoli, Bourn's magnificent estate in the city of Woodside on the San Francisco Peninsula. 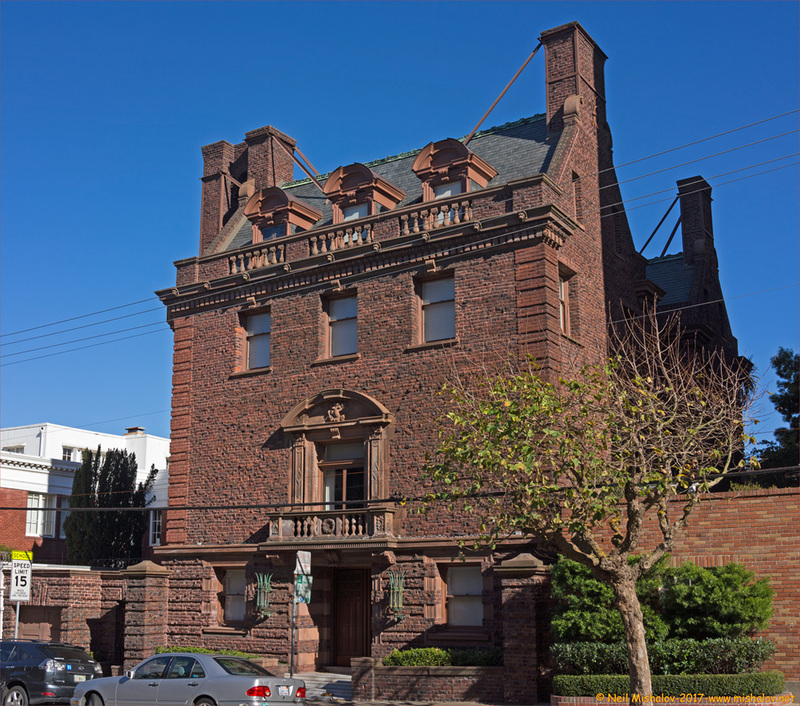 2550 Webster Street is San Francisco Landmark #38. The date of this photograph is unknown. NOW: 2550 Webster Street has had a bizarre history. The mansion was eventually sold at auction in 2010. Click Here to see the location of the Bourn Mansion on a map. 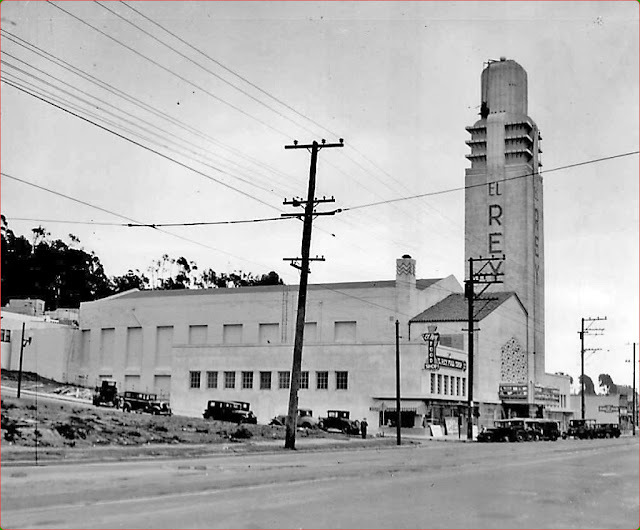 THEN: El Rey Theatre is located in the Ingleside neighborhood of San Francisco at 1970 Ocean Avenue. The theatre opened in 1931; the first film to be shown in the theatre was "The Smiling Lieutenant," starring Maurice Chevalier. In 1969 the retail sales portion of the theatre became the first location of the Gap clothing store. The theatre closed in 1977; shortly after that, a church purchased the building. This picture was taken in 1931. NOW: In December 2015 a lender foreclosed on the property after the church defaulted on a loan. The theatre was then sold to a Marin County investment group for $1.06 million. 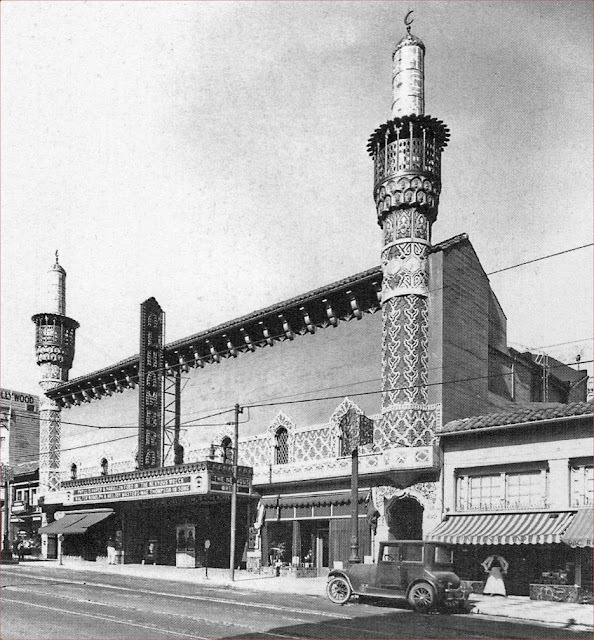 On 18 July 2017, the San Francisco Board of Supervisors voted to award landmark status to the long-neglected theatre. The future of the building is unclear at this time. It will, however, not be demolished because of its landmark status. Click Here to see the location of the El Rey Theatre on a map. THEN: The Haas-Lilienthal House is located at 2007 Franklin Street. 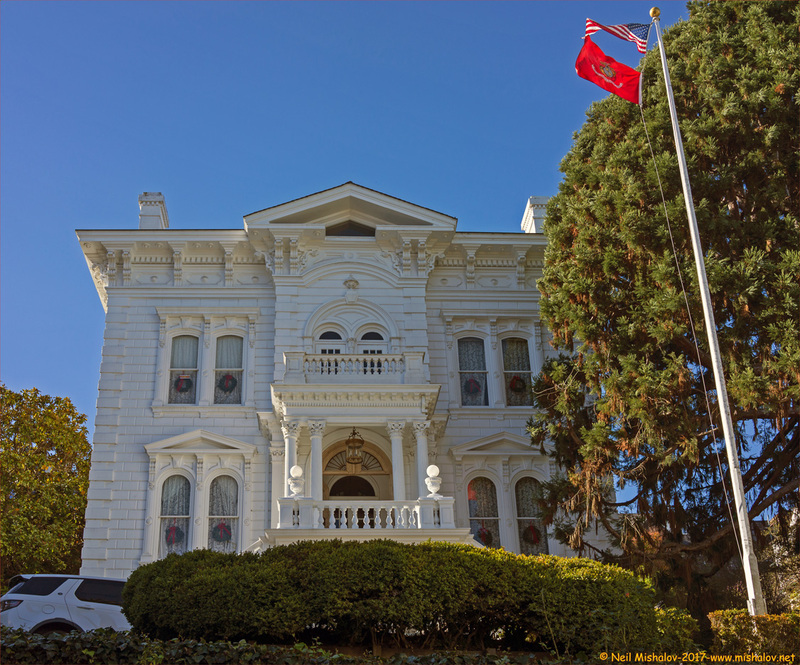 It is a Queen Anne style Victorian-era home that is now a museum open to the public. 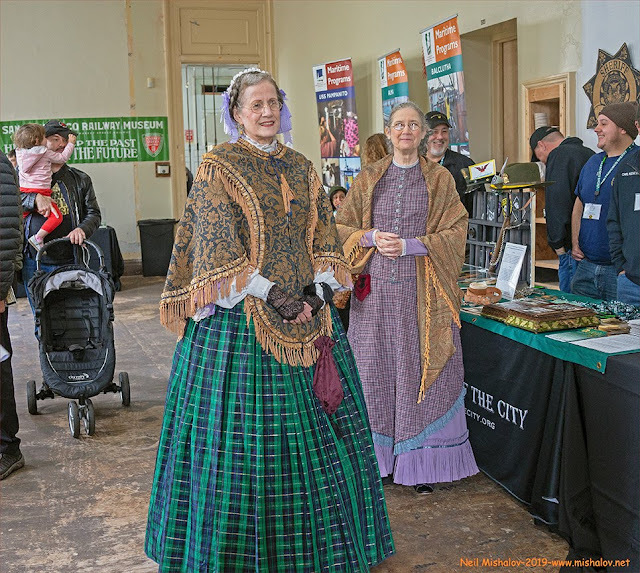 In 2012 it was named as one of 31 national treasures by the National Trust for Historical Preservation. The house is owned by San Francisco Heritage. The building is 11,500 square feet with twenty-four rooms including a ballroom. The kitchen was last updated ninety-years ago. The date of this photograph is unknown. 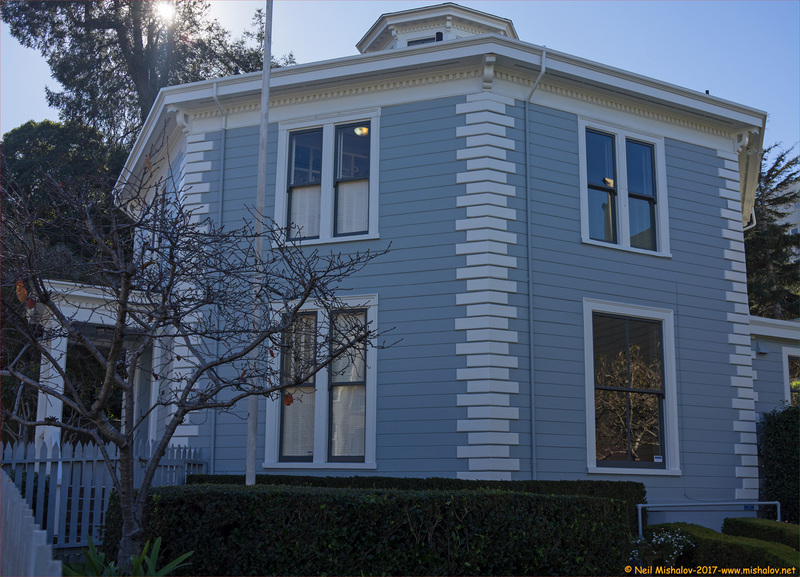 NOW: The house was built around 1886 for William Haas, a prominent businessman in early San Francisco. He was born in Bavaria and came to the United States in the 1870s. His daughter, Alice, married Samuel Lilienthal. The Lilienthal family lived in the home from 1917 to 1972, when Alice passed away. San Francisco Landmark #69, National Register #73000438. Click Here to see the location of the Haas-Lilienthal House on a map. THEN: Henry Casebolt came to San Francisco in 1851. He arrived from Virginia with his wife and their eleven children. He manufactured horse carriages and grip mechanisms for cable cars., He opened his horse carriage factory in the Cow Hollow section of San Francisco. In 1865 Pierce Street was a country road; it was here that he decided to build this Italianate manor house at 2727 Pierce Street in the Pacific Heights area of San Francisco. The house is 5,875 square feet, it has seven bedrooms and four bathrooms. He sold the house in 1851; the property remains a private residence. It sold in December 1973 for $155,000. The date of this photograph is unknown. NOW: Here is a picture of 2727 Pierce Street taken in December 2017. San Francisco Landmark #51. Click Here to see the location of the Casebolt House on a map. 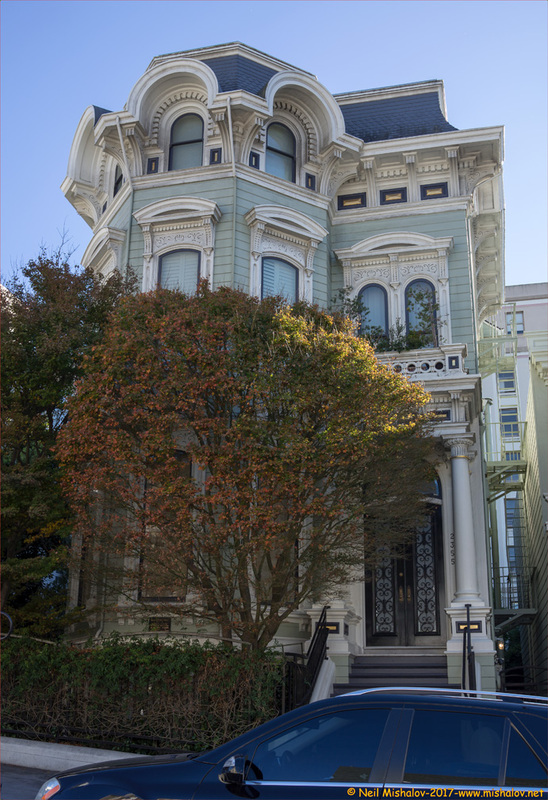 THEN: This Italianate style three-story house is located at 2355 Washington Street in Pacific Heights. A striking feature of the house is the Mansard roof. 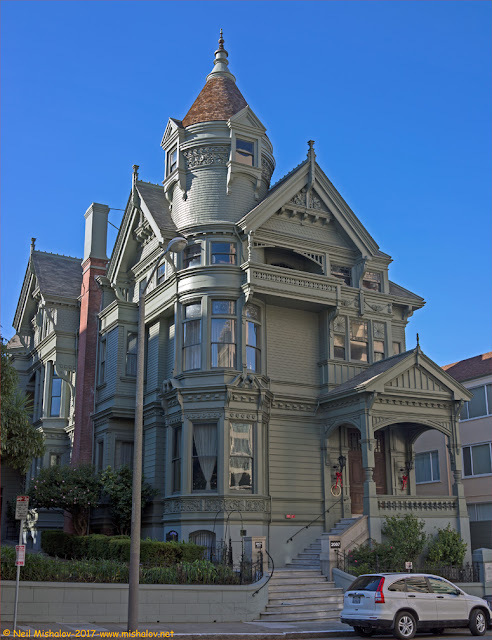 The house was built in 1870, and it was initially located at 528 Sutter Street. In 1900 the owners, Dr. Emma Sutro and Dr. George Merritt, moved the house about a mile and a half from 528 Sutter Street to its current location. They both practiced medicine from offices within the home. The date of this photograph is unknown. THEN: This is the grand opening day of the Ingleside Race Track: 28 November 1895. This image is courtesy of FoundSF. The last horse race was on 30 December 1905. The track served as a camp for many San Franciscans after the 1906 earthquake and fire. The track also hosted patients from Laguna Honda Hospital as the hospital recovered from the quake. 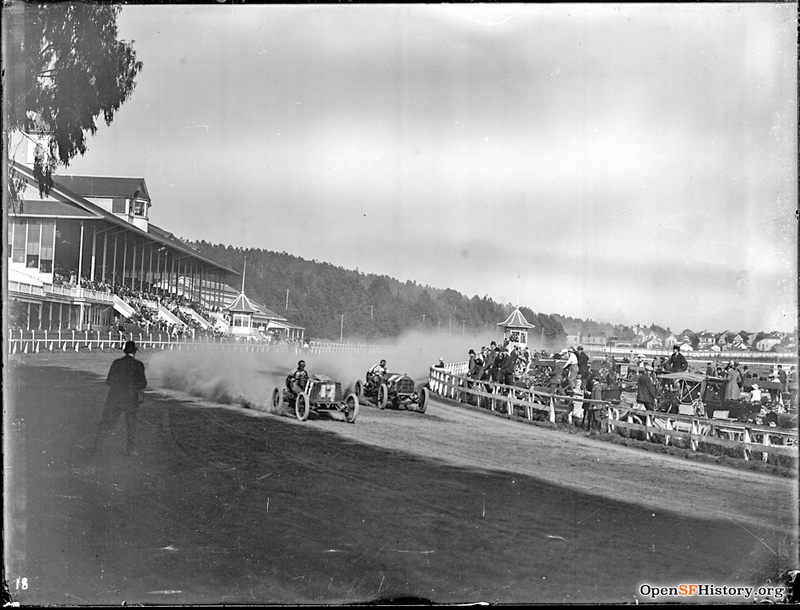 In 1910 Joseph A. Leonard (1849-1929), after building hundreds of homes in Berkeley and Alameda, purchased the land used by the racetrack and created Ingleside Terraces. 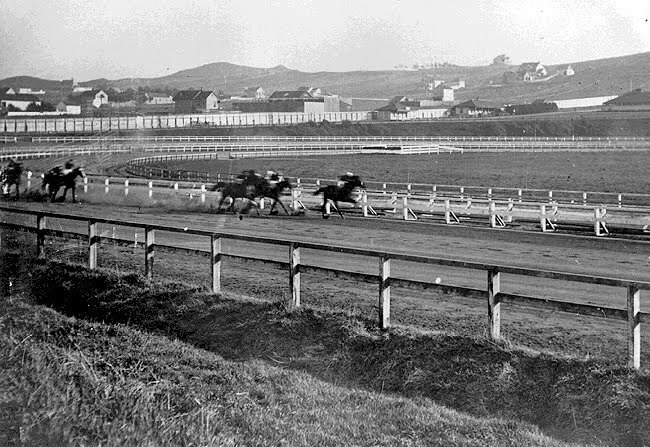 THEN: Horse racing on the one-mile track. This image is courtesy of FoundSF. This picture is circa 1895. THEN: The car racetrack and the grandstand. 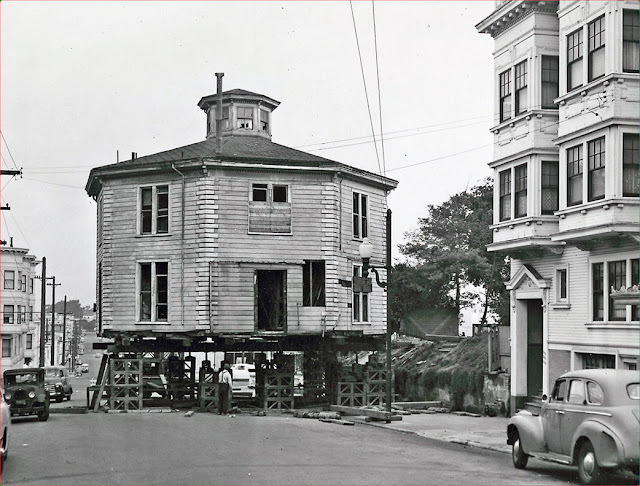 This image is courtesy of OpenSFHistory. This picture is circa 1905. THEN: The cars are speeding around the one-mile track. 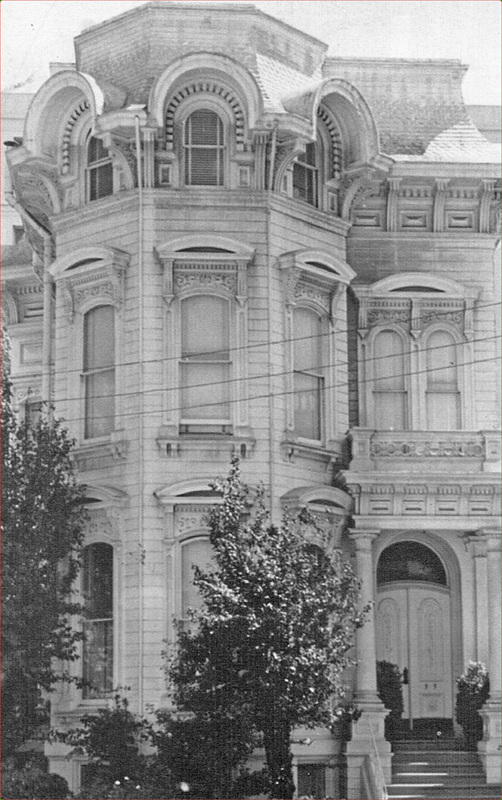 This image is courtesy of OpenSFHistory. This picture is circa 1905. 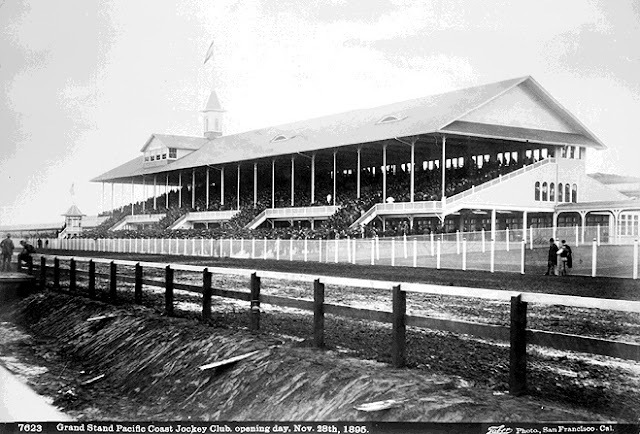 THEN: The racetrack's clubhouse and grandstand. This image is courtesy of FoundSF. This picture is circa 1900. 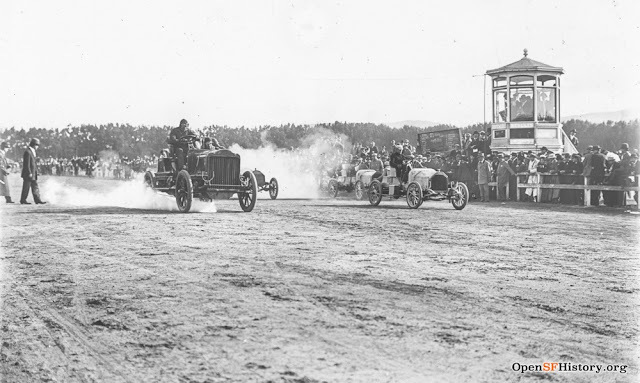 THEN: The horse racing and car racing days are now over at the track. A sundial was built in the middle of the former track, and prospective home buyers are being given a tour of the area, now known as Ingleside Terraces. This picture is circa 1914. 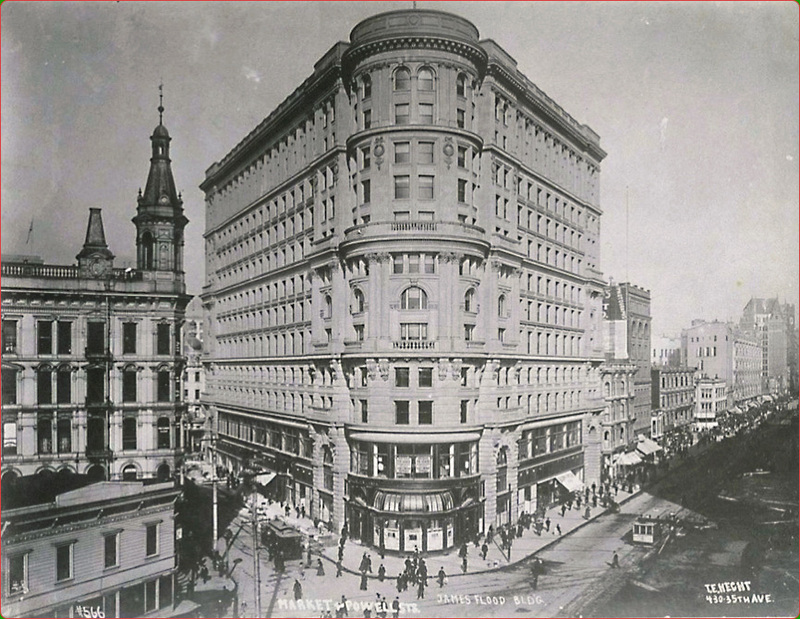 This image is courtesy of OpenSFHistory. NOW: The location of the former racetrack as seen on an aerial map of Ingleside Terraces. 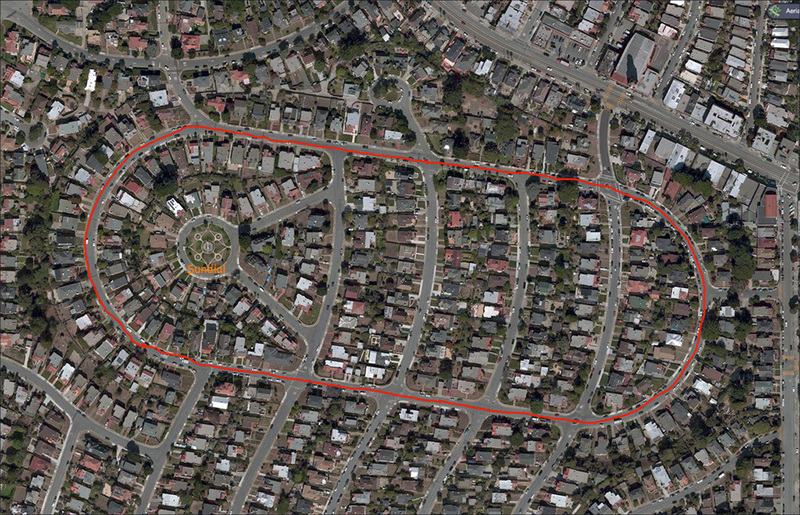 The one-mile track now is named Urbano Drive. The location of the sundial is noted on this aerial map. 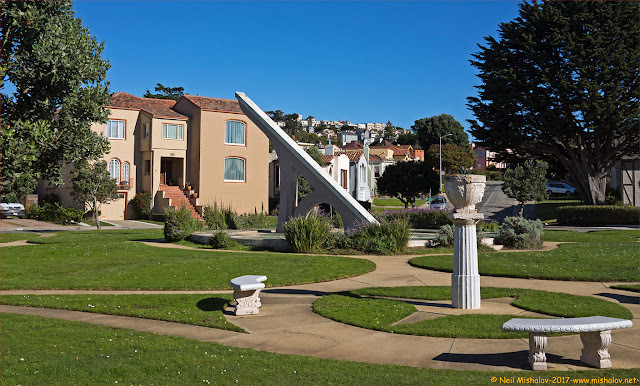 THEN: The sundial is located in the new and developing Ingleside Terraces neighborhood. 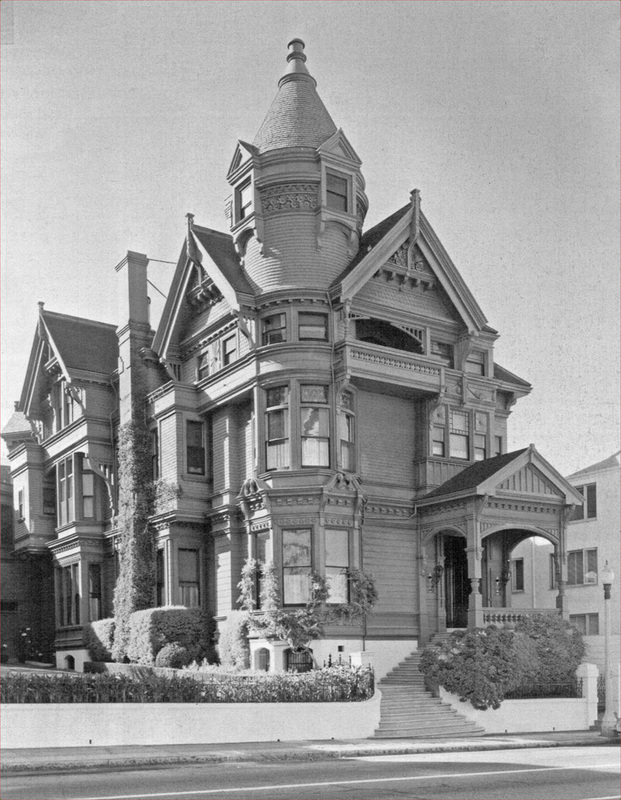 This image is courtesy of OpenSFHistory. This picture is circa 1913. 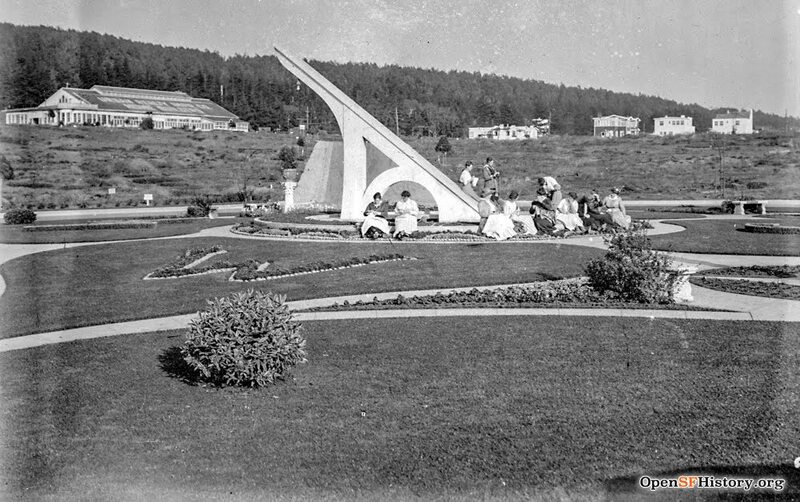 NOW: The sundial was dedicated on the evening of 10 October 1913, at a lavish event with 1,500 people in attendance. After children dressed as nymphs unveiled the sundial and four surrounding columns, a midnight supper was served, and couples danced until dawn. Two significant engineering accomplishments, one local, one international, were also celebrated that evening: the Twin Peaks Tunnel and the Panama Canal. 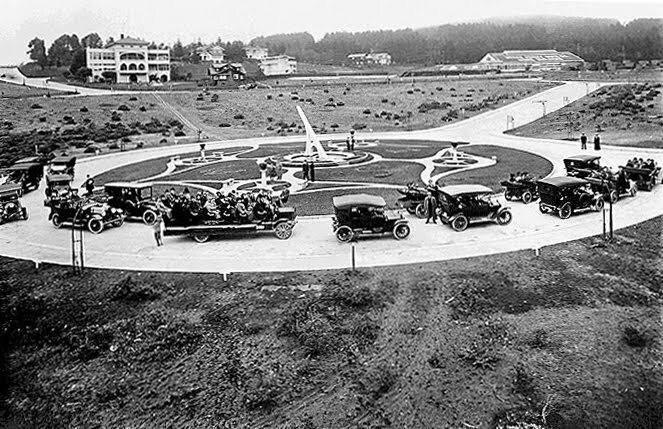 The sundial initially had a circular reflecting pool, with a fountain, two bronze seals, colored lights and a ringlet of yellow and purple pansies. The 34-foot-wide clock face still has large Roman numerals that accurately provide the hour, barring fog or daylight saving time. The sundial was installed by the Urban Realty Improvement Company to lure buyers for its Ingleside Terraces development. 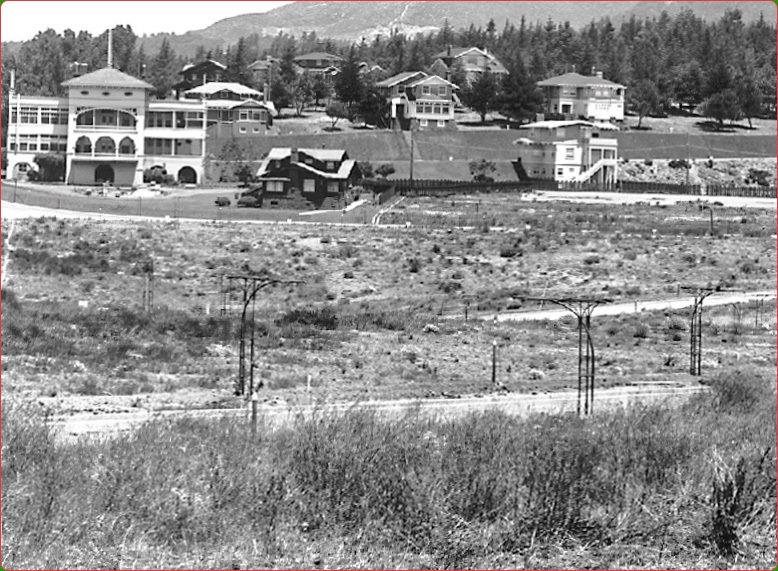 The 148-acre residence park offered a lawn tennis court, a clubhouse for social gatherings and about 750 houses priced from $6,000 to $20,000. Here is an advertising brochure published circa 1914 on the new housing development. Click Here to see the location of the Ingleside Sundial on a map. NOW: This is the Daniel Gibb & Company Warehouse which is located at 855 Front Street. 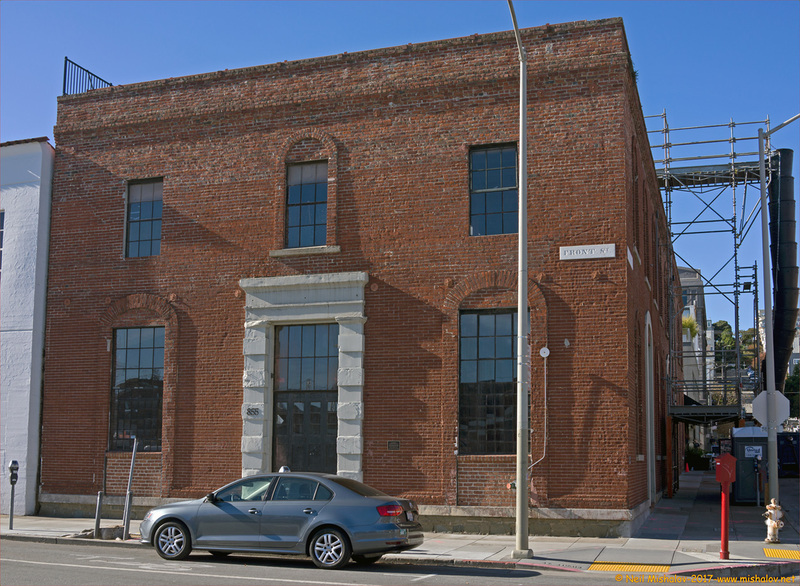 The building is one of the two oldest surviving warehouses in San Francisco; it was constructed in 1855 during the California Gold Rush. Daniel Gibb was a British citizen who returned to Scotland in 1861. San Francisco Landmark #91 and National Register #97001189. Click Here to see the location of 855 Front Street on a map. THEN: The Paige Motor Car building was built in 1912 at 1699 Van Ness Avenue. National Register #83001234. This picture is circa 1920. 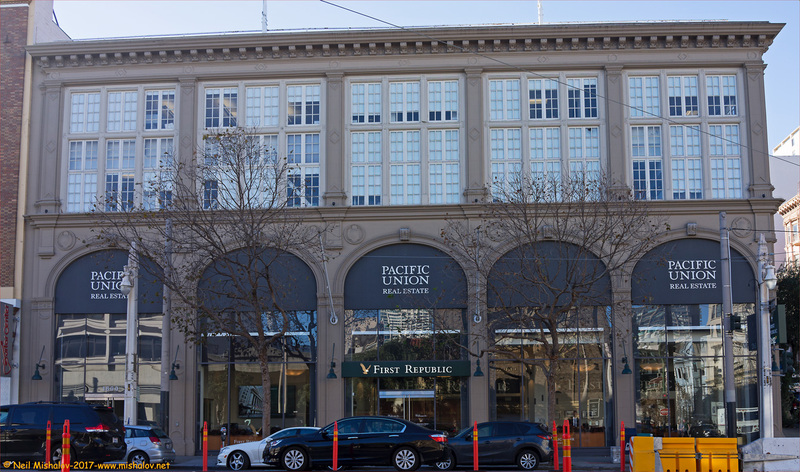 NOW: The building is one of the few remaining lavish motorcar company buildings on Van Ness Avenue's automobile row. The building is currently occupied by a real estate company and a bank. 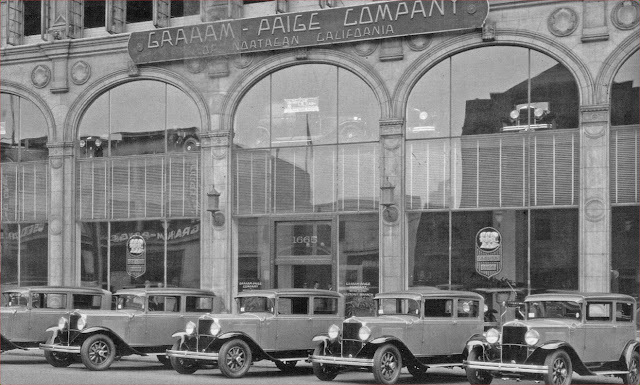 Click Here to see the location of the Paige Motorcar Company on a map. NOW: This photo was taken from Pier 7. The view is looking south. 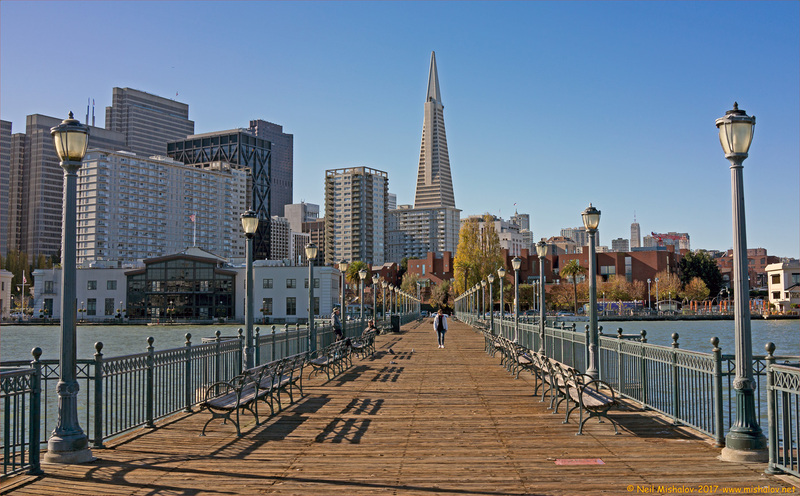 Ahead is the graceful and unique Transamerica Pyramid. It had the commendable distinction of being the tallest building in San Francisco until early 2017. At which time the hulking Transbay Tower, which is currently under construction became the tallest building in the city, unfortunately. Click Here to see the location of Pier 7 on a map. NOW: This is a view looking east from the top of Russian Hill. Ahead is Yerba Buena Island and the western span of the San Francisco-Oakland Bay Bridge. The summit of Mount Diablo is visible in the distance. Click Here to see the top of Russian Hill on a map. NOW: This is a view of Richmond Inner Harbor as seen from Point Isabel which is located in Contra Costa County. 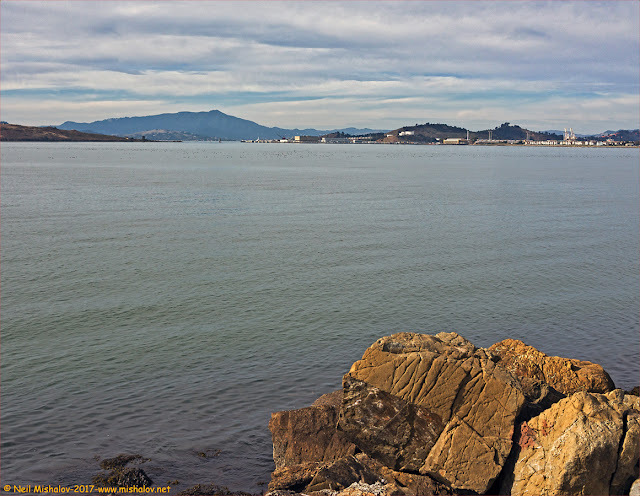 Ahead in the distance, across San Francisco Bay in Marin County, is the magnificent and serene Mount Tamalpais. The view is looking west. Click Here to see the location of Point Isabel on a map. GO HERE to view part one of San Francisco then & now.